is critical to your safety. ZEISS DriveSafe – the only pair you’ll need to make driving feel safer and to provide excellent all-day vision. 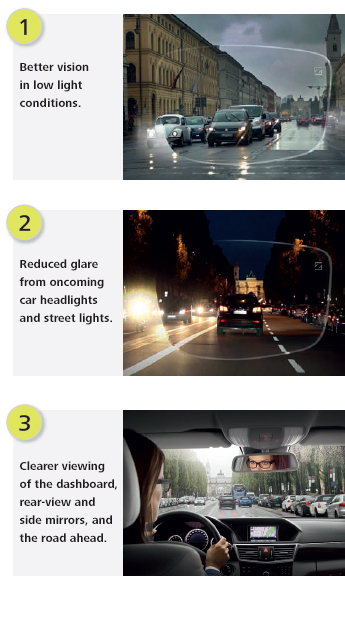 ZEISS DriveSafe: see clearer, feel safer. For better vision while driving and all day, ask your Eye Care Professional about ZEISS DriveSafe today..